We appreciate your feed back. That's not a problem for Corey Compressor, if it's not available then we will make it for you. 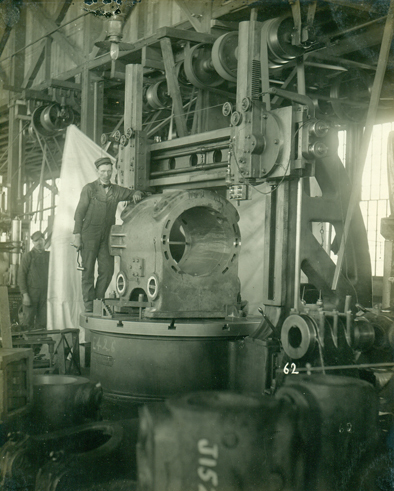 Seen here, in the Bury manufacturing plant circa 1918, is the machining of 36" cylinder on a vertical boring machine. The machine was driven by a leather flat belt, connected to a line shaft, which runs the length of the plant. The line shaft was driven by a steam engine on one end of the plant.